What have we learned from the first 2 weeks of the NFL? The Bills are 2-0 but had to pull a miracle to win vs. Oakland. They are not as good as they looked last week vs. KC because the Chiefs are TERRIBLE. They face the Pats this week. The Pats are showing more urgency than in the last few years. They are a threat for the Super Bowl. The Texans are also 2-0 but have yet to beat anyone. They will win the division but then choke as usual but this time in the playoffs rather than against the Colts. HC Shannahan has made the mess worse rather than fixed it. gets better, this team will not win a 2nd consecutive title. Over the last 10 years, only 12% of the teams that started out 0-2 made the playoffs. Those are not good odds. have to win to keep their jobs. They will not do either. The Colts are 0-2 and that was a bad loss for them at home last week vs. the Browns. Worse yet, they face the Steelers at home this week and go to play the Bucs next. They will be 0-4 and looking for a shot at the top draft choice (QB Luck) in the 2012 draft. It is clear that Payton is the brains behind the O and HC Caldwell should be gone along with the GM for the mess they have made of this team. the Vikes and Colts in weeks 4 and 5. The Vikes are looking for a QB and did not find one that works in McNabb. In recent years they could depend on wins against division foes like the Bears and the Lions. But the Lions have gotten a lot better and the Bears are fighting for their coach’s job this year. The Vikes will have a top 5 choice in 2012. The Seahawks are also 0-2 and depending on a college coach to bail them out of this mess. He won’t and the team continues to spiral downward out of control. Any judge of talent that thought that QB Jackson could be an NFL starter should lose his job. Two teams that are not in as bad shape as those above are the Rams and the Panthers. The Rams have had some critical injuries but have turned the ball over too often to beat NFC East teams the Eagles and Giants. They will likely win the NFC West but are a couple of players from being competitive against the best teams in the conference. The Panthers are breaking in a new coach and new QB. QB Newton is far from a quality NFL starter but has shown some good things. The team has some very solid players including one of the best centers in the league in Kalil, a solid RB in Williams and star WR in Smith. They have added some good defensive rookies and is turning the team around. They are in a tough division but will be better as the season wears on. on radio for college football and basketball and has scouted talent. You can be part of the show by calling our Herbalife Hotline at 216-539-0607. It is time again for my fearless attempt (note: no dart boards were injured during this exercise) to predict the outcome of the 2011 NFL Season. I know that some of you will doubt my crystal ball but it seldom fails me (except when it needs repair which happens around this time every year). am not sold on QB Sanchez. the Steelers and they will not this year. keep QB McCoy healthy. Otherwise 3-13.
new QB and questions about their D.
could end up with a top 5 draft pick in 2012 without him. attacks keep them from contending. financial hole and the team is bereft of talent. alone can not make up for a porous D.
play QB. Key losses cannot be overcome. 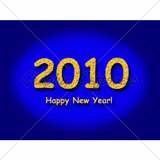 year as 2010 but the D is better and this is the year. If not, HC Reid is gone. and that again prevents them from getting far in the post season. GM and this team is not that good. he will be gone as well. the team made the playoffs and won it all. Those wounded players are back and the team is better than last year. healthy this team can get into the playoffs. slip below the Lions. Bye Lovie. they still have some issues on D.
but not enough to overtake the Rams. team might be looking to bring Stanford QB Luck to the team next year. RB in the league so how will he do here? New Years Resolutions Certain Sports people SHOULD be making. If you have any more please add them to the comments section. HAPPY NEW YEAR and thanks for coming to our site. The only things that are certain are death, taxes and NFL Coaching changes. Cowboys – The Boys will most likely stay with Interim Head Coach (IHC) Garrett. The team has played much better under Garrett than under Phillips. However, owner Jones would love to get a big name guy but none of them will take the job because of Jones history of interference with the day to day operations of the team. Vikings – IHC Frazier is 50/50 to keep his job in 2011. The team has not improved much after the change but Frazier has had a lot of issues to work through. While the team is talented, it is older and the window on the Vikes getting to a Super Bowl is closing fast. Broncos – IHC Studesville is not likely to be the 2011 HC. He has been a RB coach for most of his career. Because of the debacle that Owner Bowlen caused by hiring the badly over matched McDaniels, the Broncos need a name brand with HC experience. He is not likely to get the “big 2” (Gruden and Cowher) and will probably have to settle with someone like Kubiak. Panthers – HC Fox’s contract expires at the end of the year and he has been told it will not be extended. However Fox has a good enough rep that he will get another HC job very soon. The Panthers are a fairly attractive team with the 1st pick (IF Stanford QB Luck comes out) and some quality pieces. But it is several years away from contending. 49ers – HC Singletary got the job as an IHC but the team never came around for him. Frankly most of the problem is lack of talent. QB Alex Smith, a former 1st overall pick, has been a large part of the lack of production. High draft picks have failed to produce on both the O and D lines. But except for QB, this team has some great players like RB Gore, WR Crabtree and LB Willis. Texans – This team under HC Kubiak has been the pick for the last 4 years to unseat the Colts in the AFC South. It has not happened. After a couple of 8-8 seasons, the wheels came off this year. The team has a solid O but the D is filled with high picks that have not developed. It is attractive because it is young and has some talent. It is also in a division that is rebuilding with the Colts window closing and the Titans and Panthers getting new coaches this year. Titans – HC Fisher’s contract expires and there will be a new HC here next year. The problem has been more a difference of opinion between the Owner Adams and Fisher. Adams wants QB Young to be the guy but Young and the HC do not get along at all. Fisher will be hired by another team immediately if he is not extended by the Titans. Bengals – HC Lewis is history. The Bengals won the Division by sweeping the games within it. This year they have won only 3 games. Lewis will get a job elsewhere as a DC but not as a HC. Mike Brown is going to have a real problem bring in a top prospect because of the history of this franchise. In addition, the entire team is going to be blown up particularly on O. It is a L O N G way from being competitive. Browns – HC Mangini will be history at the end of the season unless Pres. Holmgren can’t get a name brand. The team has regressed this year despite having gotten a steal at QB with McCoy in the 3rd round. The most likely to replace him is Holmgren as HC or Gruden if the team can sign him. Chargers – HC Turner will have to not only make the playoffs but get past the 1st round or 2 to keep his job. The team has always started slowly under Turner and this year has stumbled late in the season. Dolphins – The team has regressed under HC Sparano this year. The players are not preforming up to their draft projections. QB Henne is seen now as a bust as was QB Beck, WR Ginn and other first and second round picks by GM Ireland. The recent losses combined with the mention of Miami by Cowher as a job he was interested in has destabilized the Dolphin situation. At this point I estimate there is only a 50% chance there will be changes in Miami. However, it is one to watch. Redskins – There are serious problems between the Owner Snyder and HC Shanahan. Snyder brought QB McNabb in and the coach benched him. Snyder gave him an extension then the HC told him he would not play the rest of the year. The same thing happened with DT Haynesworth. Snyder traded for him, the coach refused to play him. The Owner gave him a huge roster bonus but he seldom got on the field. Battles between a coach and the owner always end one way–the HC gets canned. It may not happen this year but this is a situation to watch. Giants – HC Coughlin is not on the hot seat yet but after the D allowed the comeback against the hated Eagles, the seat did get a little warmer. Another factor is former Steeler Coach Cowher saying that job would be one he would seriously consider. If the Giants don’t make the playoffs, Coughlin’s seat will get a lot warmer. Chiefs – There are rumors of a possible change in KC not despite the team’s turnaround but because of it. Last year this same team under HC Haley went 4-12. This year with 2 quality coordinators, the team is 9-5. I hear that ownership is wondering if Haley was ready. Another problem seems to be the difference between 2 coordinators coming from the Belichick tree and HC Haley being a Parcells guy. I am hearing that the coordinators feel like they are carrying an unprepared HC. Comments: Comments Off on The injury bug bites the Eagles tail feathers. The injury bug bites the Eagles tail feathers. Head coach Andy Reid is not known for running a particularly physical training camp. Even so, this year injuries have take down some starters critical to the success of the team in 09. MLB Stewart Bradley is one of the best young IB in the league but blew out a knee and was put on IR ending his season. Starting G Todd Herremans (foot) will miss the entire preseason because of a stress reaction in a bone in his foot. Others missing time include starters on the O line T Shawn Andrews (back) and G Stacy Andrews (knee). Starting WR Hank Baskett (knee) has been diagnosed with a hyperextension of the right knee. He is listed as day-to-day. And the star RB Brian Westbrook is recovering from foot surgery and will sit out the preseason. The injury list represents the best and most experienced starters on the team. That is not a good sign for 09. The offense revolves around two guys—QB Donovan McNabb and RB Westbrook. McNabb has been criticized, benched, and yet has always come back to lead a team with very limited receiving options in the past. This year his corps of receivers looks a lot better. McNabb has the ability to carry the team on his back when he needs to. He is among the most productive QBs in the league. But he will be 33 before the season ends. That makes finding the next Eagle starter a timely issue. The team picked Kevin Kolb with their first pick in 07 (second round). He may be the guy but we haven’t seen enough of him to tell. We won’t see him this year either unless McNabb goes down. Westbrook has been as much as 70% of the offense in previous seasons. Last year he was limited by nagging injuries and hits the magic 30 age for running back before the season starts. At just 203 pounds he can’t be expected to take the punishment of 250-270 carries a year for much longer. LeSean McCoy and Lorenzo Booker are his backups. Rookie McCoy looks like a capable replacement but so did Booker who proved to be less than advertised. FB Leonard Weaver is a solid blocker but not much of an offensive threat. The starting WR are DeSean Jackson, who has sparkled in camp this year, and Kevin Curtis. Curtis had a great year going until he went down with an injury. Reid has rookie 1st round pick Jeremy Maclin, Jason Avant and Hank Baskett in reserve. Both Avant and Baskett have experience and Maclin has the tools but will have to develop into a more consistent route runner. TE Brent Celek filled in nicely for the injured L.J. Smith last year and starts in 09. The O line will be much improved IF the walking wounded return to play. LT Jason Peters was all pro last year despite not earning it. He wanted to be rewarded for a below average season with an above average increase and the Bills traded him. LG Herremans, RG Stacy Andrews (knee in 08), RT Shawn Andrews (back) are all fighting injuries. If healthy, this group is solid. C Jamaal Jackson needs to improve run blocking. The prime members of the bench are Max Jean-Gilles and Winston Justice. They are just adequate. The D will have to get over a lot more than injuries. Sean McDermott will replace the long time and much loved Jim Johnson as D coordinator. Expect McDermott to keep the same system with no changes this season. The team ranked 4th in run D last year. The D line did fine again the run but need to generate a lot more pass rush in 09. The base rotation includes starters Es Victor Abiamiri and Trent Cole and Ts Mike Patterson and Brodrick Bunkley. Trevor Laws, Darren Howard, Chris Clemons, Juqua Parker who started last year at E are the reserves in the rotation. Out of necessity, the Eagles have always blitzed a lot. They would like to reduce the blitzes if the D line generates more pressure. SLB Chris Gocong and WLB Akeem Jordan are set but the question is who will replace Bradley? Omar Gaither who lost the WLB spot to Jordan last season is the best bet. He has played there before. The corners are solid with Asante Samuel and Sheldon Brown. Samuel is an all pro and plays like it. Brown is fine but the team traded for Ellis Hobbs to provide a little extra incentive. The loss of team leader Brian Dawkins to free agency is going to hurt. He was the emotional leader as well as a coach on the field. Quintin Demps will get the first shot but the team also signed UFA Sean Jones from the Browns. Joselio Hanson and Jack Ikegwuonu play the nickel and dime spots and have experience. OVERALL: The Eagles will be one of the most improved teams in the league if they can overcome the losses on D. With the new line and receivers, they should score a lot of points. If the D can do as well as it did last year, the team will make the playoffs and should make it to the NFC Championship game as well.